"She was wonderful, her photos were perfection. I would recommend her highly, and when we need future photos will call her up to do them. I honestly can't stop saying enough great things about her and her gift"
"My husband and I had our Maternity and new born pics done by her and she is great to work with! super nice and down to earth. very patient with us and had great ideas! definitely will be coming back to her for more pictures in the future 😊"
"Alissa is a very sweet, nice, and down to earth person! Her work is just as amazing as she is! She was great with my wild 2 year old! I didn't think we would get good pictures of him because he does not like to stay steal but she worked her magic and got so many good ones of him and us❤ Her prices fit the quality of her work!" "Alissa was so patient with my kids! She was super encouraging and positive which gave them a confidence boost and in return was able to get some amazing shots. I couldn’t be more happy with my images and look forward to future sessions!" 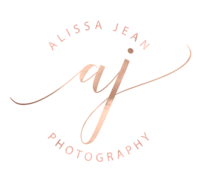 "Alissa did an awesome job on our engagement photos! Even though the shoot started super early in the morning, it was SO worth it after seeing the beautiful pictures Alissa captured. I would recommend her to anyone I know!" "She was our wedding photographer and we have claimed her as one of our family members. She is so warm and loving. Truly great and what she does. She will forever from now on be our photographer that captures all our families important memories." "Alissa is very professional and friendly. She was very helpful with giving advice on props and answering my questions. I have a almost one year old and five year old and she was beyond amazing with both boys. The location she choose fit our theme and both boys had a blast. I would highly recommend Alissa and plan on using her for future pictures." "Alissa did a wonderful job on my sons 1st birthday photos!! She did so well with him and we loved the end result!! She was also very sweet and professional!"